I have a pile of notebooks that I have kept over the years. They take me into the nooks and crannies of weird and wonderful thoughts that I held for truth at some point in my life. Some are funny, some are deep. Some are crazy, others are gold. Let’s have a look. This was clearly a midlife wisdom. In the days when I thought that hard work and smart maneuvering would get me to the top of the heap from where I would be able to see the beckoning beach. The idea being that I would then go that beach and abandon the career. I knew there was a flaw in this thinking but it seemed like a plan anyway. And so, I now know what drowning feels like. One day in a flash of insightI turned around, ran down the heap and found not one beach, but a thousand. Experience has always fascinated me. I was an experience junkie. There was a time when my best friends didn’t buy me presents but experience. They would take me to a weird concert, a new bar or on a camping trip. Those were the best gives because, I would preach: you can lose the things you acquire, but never the memories of the things you did. That’s before my mother died of Alzheimer’s and I learned that even treasures we cradle in our heart may be lost. This is one of those weird things about life. One moment you can be down with the dogs wondering if hell is not such a bad place after all when within 24 hours you could be anywhere on the planet contemplating whether to wade into the sea, order another Long Island Ice Tea or enrol for a dive outing tomorrow. And from that leisurely perspective you ask yourself: So why, exactly, would I go home next week? Even though life happens in the moment and I’ve become a real ‘ now’ guy, I still like the vision thing. The best things that ever happened to me, happened to me long before they happened to me. Not because there is some magical power of intention (I checked that out, just to be sure) but because all our choices are informed by the direction we’re looking at. So I look at good things. There is nothing more liberating than looking beyond the horizon. Absolutely everything is possible there and yes, there are lots of beaches with Long Island Ice Teas and dive centers. So when I decide whether to wear a blue tie or a stripy tie, I remember the future first. When I was in my twenties, I backpacked to Australia and when I got to Sydney, I ran out of cash. I was an engineer then and prevailing wisdom was that to get a job, you should buy a newspaper, scan the jobs section, write a letter to an employer, get an interview and get lucky. Now I don’t know if I mentioned that I had run out of cash, but I needed a job fast. So I started knocking on doors. I mean literally. I took the Yellow Pages and went from door to door. The first time was scary: “Yes, hi, I’m an engineer and I’m looking for work”. The vast majority of companies had never seen this: an engineer knocking on doors? Some were stupid, like IBM, they told me to get lost. Others were great. At one company a kind lady took me straight to HR and the director asked me what I wanted. When I had finished he said: If I had a job, I would give it to you immediately. He was extremely disappointed that he couldn’t! Ever since, when I need a job, I remind myself that I haven’t tried very hard until I’ve brought up the courage to literally knock on doors. 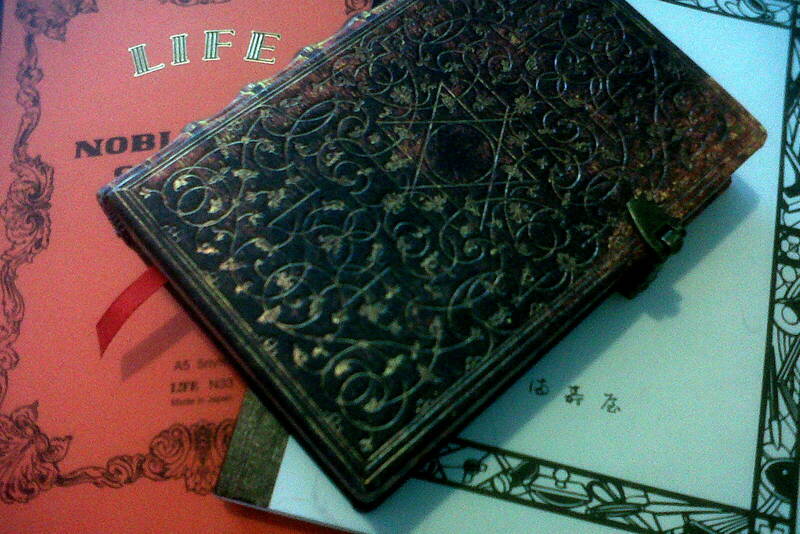 My note books go on forever. Like many bloggers and writers, I need to write to think. Some notebooks are complete works of philosophy that wouldn’t bear the light of day. Others are accounts of my life and what was bothering me then. There are some real nuggets of wisdom that have served me well in life. So, I’ll leave you with one of the valuable quotes. “The future flows towards us as events that already happened”…. I like that. You knew that. I knew that. Multiplied by 10 to the power of…. Ah, the infinite improbability drive, perchance? Of course! Fiction always comes first. I believe the flowing towards us future (that already happened) is in your writing memoirs based on those notebooks… don’t discard the philosophical stuff though! Very interesting. I totally agree that “Clarity of thought and good decisions live at high altitude” but I also think they live on long train journeys. I picked this quote from the text of your article. 🙂 Very interesting. And very true. I know all about the exhilarating energy of new experiences, but even after you’ve booked tomorrow’s dives (If only…) there is this moment when you come off the high and experience the accompanying loss you referred to. The dive school where I used to work had a poster stuck on the bathroom door. It was PADI promotion material, depicting a leggy brunette lying on a beach with a dive mask in the sand next to her. It read: “12.00 hrs; lunchtime”. We saw it several times a day, on our way to and from our very old compressor, hidden away in a rat-infested back room where the temperature could easily reach 45 degrees celsius. And yes, those tanks were heavy. Still, that picture always made me smile. As an independent (I believe) you get to try it out. I love that film with Will Smith, “In pursuit of happiness”. That’s what it’s like. Thank you for sharing your notebooks 🙂 You have made me think…. Another life is just 24 hours away!!! I will reach some high altitudes soon, and probably sort out my thoughts. I appreciate your writing and wisdom. I agree experience is the greatest of gifts. I can tell that from your posts – they convey just that!